Are you frustrated that your site doesn’t show up on Google’s first page? Do you want to get more leads – even sales – from your site? Have you tried everything you’ve read, and still don’t see increased traffic to your site? 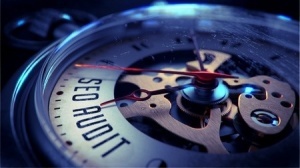 After covering the SEO Preliminaries for your website, I will conduct a full SEO audit. Search-optimized content, SEO site architecture, and a high percentage of high-value, relevant backlinks are all crucial to SEO success. Weakness in these areas can dramatically affect your site’s ranking by search engines. An experienced SEO consultant can jump start your way to page one Google. Before you do comprehensive SEO work, you may be interested in receiving a FREE Micro-SEO Audit. We will send you a report that as in introduction to over 50 SEO factors on your site that are important to your ranking by search engines. Take a look at this one page infographic of an SEO Audit Checklist. Lots of moving parts in a full SEO Audit. It’s important to work through a checklist for a Comprehensive SEO Audit. Although the elements in an SEO Audit are categorized separately, they aren’t mutually exclusive. Quite the contrary. They’re quite connected and they clearly influence each other. When looking at SEO, research in all these areas is fundamental to your overall success. If you want to learn more about your site and how an SEO Audit will help you, give me a call (or send an email) and we can discuss it.